My first year of teaching, I taught a year 1 & 2 combined class. Come Mother’s Day, we decided to keep it simple. We asked the kids to draw pictures of themselves and their mothers and we cut and pasted cardboard frames. We were a government school and so had limited access to cardboard, a green sheet and a pink sheet were all we could scrounge up. On the day, we let the kids choose their own colours. Predictably, the gaggle of 6 & 7 years olds picked along gender lines. The girls all picked pink and the boys, despite it being Mother’s Day, insisted on green. Except for one lone male, he marched up bravely and asked for pink. When I asked him why, he quietly explained that he wanted pink because his mum was a girl and she would like pink. Bless. I guess that’s the thing about Mother’s Day, it doesn’t matter whether you buy your mum a diamond ring or make her a cardboard picture frame, as long as as it’s something SHE will like. I like these muffins because you can make them your own. Choose whichever berries you like, add some cinnamon or even add some chopped nuts if that’s what your mum likes! If you want to make these for mum on Sunday morning, have the dry ingredients measured out on the bench and the wet ingredients mixed in the fridge. Have the muffin cases all ready in the pan. In the morning, add the berries, mix the wet and dry and spoon into the cases! 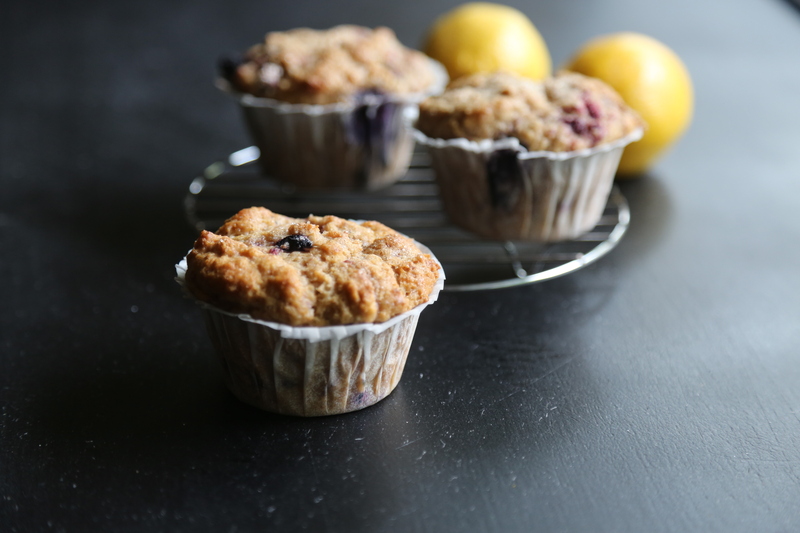 Preheat oven to 375 F/ 190 C. Grease a 12-cup muffin tin or line with paper baking cups. Combine the yogurt, oil, eggs, and vanilla in a medium bowl and whisk until smooth. Sift the flour, baking powder, and brown sugar into a large bowl. Gently stir the frozen berries and lemon zest into the flour mixture. Add the yogurt mixture to the flour and stir until combined. Divide the batter evenly between the 12 muffin cups. Sprinkle muffins generously with the raw sugar. Place muffin tin on the middle rack of the preheated oven. Bake for approximately 25 minutes, or until the tops are golden and a toothpick inserted into the center of a muffin comes out clean.